DO YOU VIEW MONEY AS A GOAL OR A MEANS? Your goals say a lot about you. They reflect your value system and your personal philosophies on life, family, giving, making an impact. Not reaching your goals is deeply frustrating. Not having goals is deeply disorienting. Being deeply enmeshed in financial planning has trained me to recognize that your money is a reflection of your deeply-held philosophies. As a fiduciary financial advisor I help my clients articulate their personal goals, remove the drags of financial inefficiency, and maximize all their financial resources – meaning, I help get you to your goals as quickly as possible. Start your own financial plan with me today and accelerate the realization of your goals. Achieving your goals is very doable. But people somehow manage to get in their own way! Either they float around with no plan, making their financial decisions on the fly. Or, they lose sight of the prize and get distracted by irrelevant billboards or technical details. Not having a financial plan will delay your goals, costing you more time and more money, or perhaps worse – not achieving your goals at all. Having a plan will enable you to articulate your personal goals, remove any financial inefficiency from your finances, and maximize all your resources – helping you reach your goals as quickly as possible. I have over 10 years of financial planning experience with federal employees at all levels, including executives and judges. Thanks Stephen, for the valuable information. I have followed up on your expert advise to stay on track for retirement. So far, so good. Most of it is so common sense but we don't think about the risks; We just take that leap of faith and hope the landing is smooth. Retirement seems like preparing for the worst as opposed to preparing for the better. Thanks a bunch!!! Stephen, We want to thank you for the plan presentation yesterday. It was very educational and helpful -- broader in scope and deeper in detail than we had expected. We’ve learned a lot already, and we look forward to follow-up steps. I’ve never worked with a financial planner before. What does that look like? When people hire me, they hire me for a year. Over the course of that year we will define your goals, and I will dive into your financial situation, reviewing everything from paystubs, to tax returns, to credit card statements, etc. I will learn a lot about you, ranging from your spending habits to your family dynamics. I know, pretty personal, but very refreshing and rewarding. See below regarding the benefits to expect from a financial plan. Also, see below regarding how often we will meet. What should I bring to my initial financial consult? Bring your paystubs, an inventory of your investments and debts, a ballpark idea of your expenses, and most importantly, try to start formulating your goals. How will I benefit from a financial plan? Goals – Goals are the framework of your thinking. Most people float around with no defined goals, no plan, making their financial decisions on the fly. As I mentioned above, not reaching your goals is deeply frustrating. Not having goals is deeply disorienting. Removing Inefficiencies – Even if you can easily achieve all of your financial goals, but are there inefficiencies costing you much more than it has to? Stop losing money unnecessarily, and capture those losses and put them back to work! Help with financial documents and technical decisions and distinctions – From retirement applications to loan applications to required minimum distributions. You don’t want to mess these up. Financial Consciousness – Knowing where you are and where you are going imbues you with financial consciousness, which impacts your spending and decision making. You are aware and now consciously steer your life. A coach that nudges you to execute your plan and advance towards your goals – I don’t just give you a to-do list and wave “Bye!” I hold you to task and set due dates for you to execute your plan. 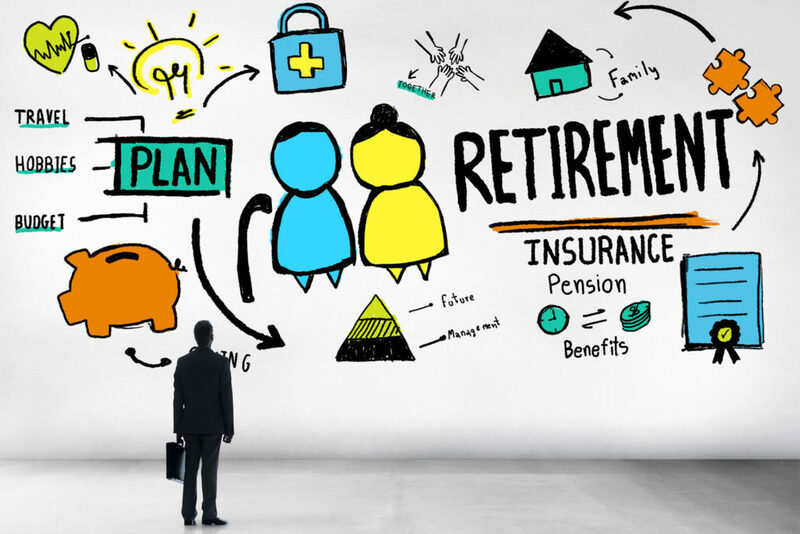 Reality check – Can you retire? Can you afford to leave federal service. You may want something so badly that your ability to be objective has been impaired. 2nd set of eyes to double-check what you may already know but have doubts about – Even the greatest do-it-yourself-er benefits from reassurance. Benefits to the non-financial spouse – You may know what’s going on in your financial life, but does your spouse? Working with me gives your spouse someone else they can discuss their financial decisions with, in case you’re no longer around. I am a fee-based fiduciary advisor. This means I only make money from providing a service, NOT a product. My services include financial planning and asset management, and for those services I charge a flat fee. I don’t work on an hourly basis. Accounting & Legal services are offered by professionals in those respective fields and they bill you separately. Most planning clients will meet with me about 5 times over the course of the year. The original plan presentation meeting lasts 2.5-3.5 hours and subsequent meetings last 1-2 hours. In between our meetings there are usually numerous emails, and our meeting prep usually is between 10-20 hours. Even the best of plans needs someone to execute. I’m not going to sugar-coat this. You will need to take action steps, and some of those actions steps will include filling out long documents, or making phone calls which may take over 30 minutes. I will nudge you along. The meetings we will have throughout the year also function as “due dates” for whatever action steps need to be executed, so you will have me coaching you. By the end of the year working together, you should have all the actions executed. Beyond the first year, your actions will be primarily maintenance.